Sharing a common love of fresh food and old school hospitality, Geoff & George are hands-on operators continually working on creating inviting spaces with real ambience to celebrate the joy of eating, drinking and socialising. Getting involved in the local community, The Moody Chef team loves to give back by supporting worthy endeavors, having a personal connection to CF, we support Cystic Fibrosis NSW with yearly fundraisers across our stores and would love your support too. Come celebrate food with us soon. "Please accept my sincere thanks & pass onto your team, for catering our last function, the food was sensational & the presentation exquisite, hence the reason I am using you & your team again. I have organised quite a lot of functions & can say that I was blown away by your professional presentation (& tasty treats), the young girl who delivered was also fantastic." "AMA (NSW) caters from the Moody on a regular basis from something simple as a morning tea to a 3 course dinner meeting. We find the service, presentation and delivery exceptional. The quality of the food is always of a high standard. 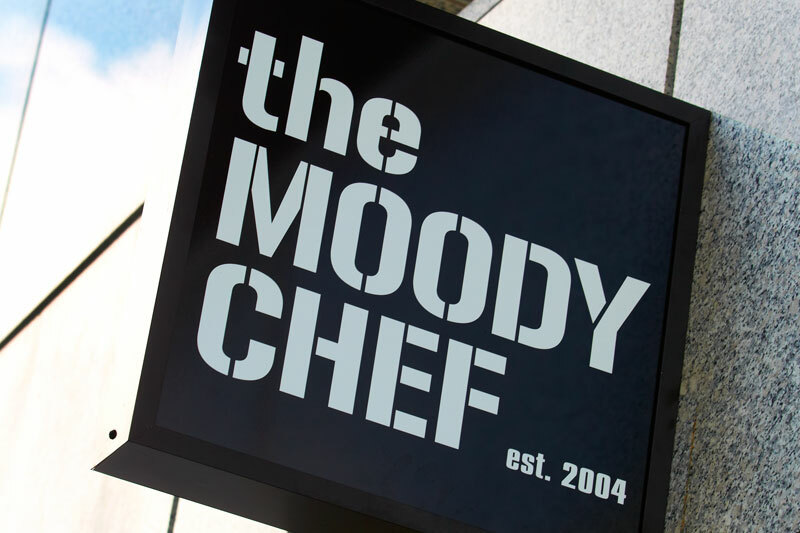 I would highly recommend The Moody Chef for any sort of catering purposes."